Retiree Lois Williams who helped with the vote. Dan Dohner who drove in from Salt Lake City, Utah. You may have never seen one or even spoken to one face to face. But if you’ve ever taken a flight, you can thank an air traffic controller or ATC for your safe arrival and departure. 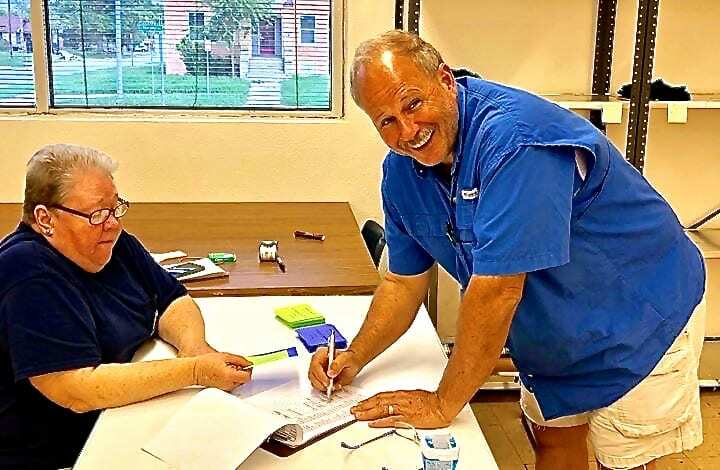 From the busiest airports in the country like Chicago O’Hare to their less known counterparts like Barkley Regional in Paducah, Kentucky, it’s the ATCs making sure the skies are safe, orderly and that there’s a seamless flow of air traffic. They are a unique group of workers, with a very specific set of skills and the only ones who can instruct the next generation on what it takes to maintain the skies. So it only made sense that when this group was looking for a powerhouse in their corner, they turned to the IAMAW. That was the sentiment in which the original organizers for this group, Jim Poole and Jimmy Ray Garrett, started with when it came to organizing their colleagues. Since both were founding members of an ATC labor union decades ago, they knew the power of a CBA. And they weren’t the only ones in this unit of more than 300. Although this group instructs students at the Mike Moroney Aeronautical Center in Oklahoma City, OK, they live and work throughout the USA. Local members came from as far as Salt Lake City and Colorado just to vote. 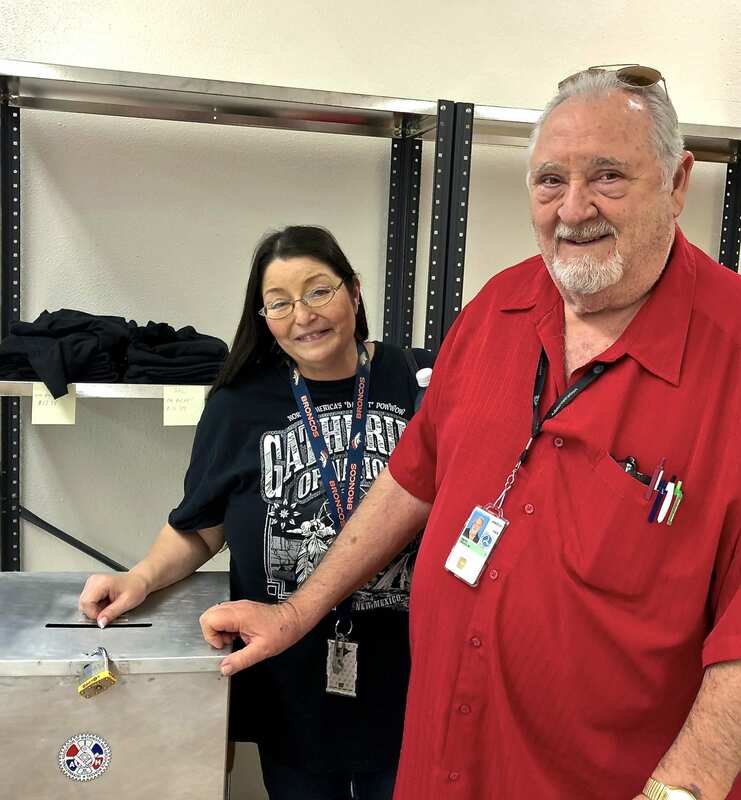 Mary Romero who flew in from Colorado to cast her ballot and Machinist Member Travis Smith. But their first contract is a strong starting line. Right off the bat, these workers will get a wage and benefit increase of about 9 percent, with smaller increases throughout the four year contract. Their new grievance procedure is one of the best the IAM has to offer with language that allows any issue to be removed from an employee’s file after a year. And a seniority process that guarantees lay-offs, should that ever be an issue, will happen fairly. Southern Territory Grand Lodge Representative James Little sat side by side and assisted his ATC Brothers and Sisters from start to finish on this negotiation. And that, in itself, is a win. Keep an eye on the skies as these Machinist Union instructors train the next generation of Air Traffic Controllers and continue to make strides for all the workers in this field. The post Cleared for Takeoff appeared first on IAMAW.